The Hi-Tech Cold Weather Anti-Gel, Treatment & Conditioner for today's fuels. Premium Winter Diesel Fuel Treatment and Anti-Gel for #1, #2, #4, #6, IFO, Bunker, and Bunker/Crude Blends. 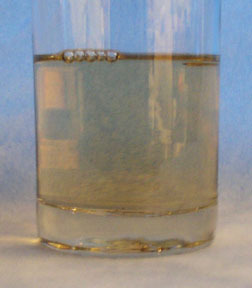 (Diesel and Medium to Heavy Petroleum Fuels) With Lubricity. 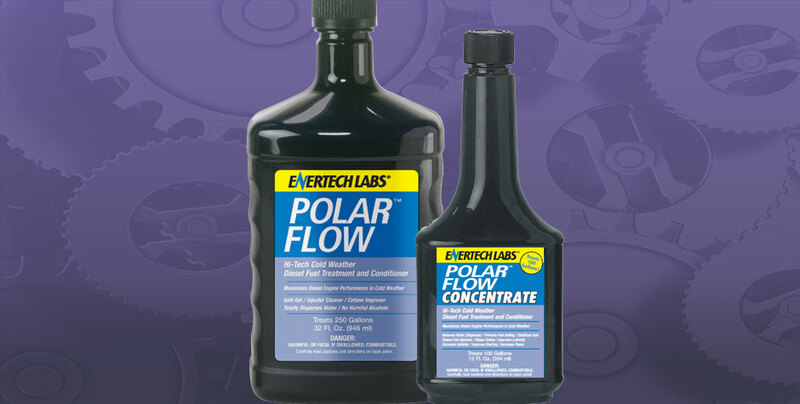 Polar Flow is the Cold Weather Fuel Treatment for Diesel and other Fuels to prevent Gelling, Waxing, Fuel Line Freeze-up, Improve Fuel Efficiency, Increase Power, Reduce Emissions, Reduce Engine Wear, Stabilize Fuel, and Eliminate the Harmful Effects of Water in Fuel.Polar Flow uses the combination of an Organic Solvent together with an Organic Polymer (anti-gel) that significantly depresses the fuels PP (Pour Point) and CFPP (Cold Filter Plug Point) by inhibiting the growth of wax crystals within the fuel. 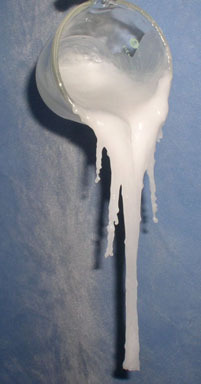 Without Polar Flow, wax crystals form lattices that grow together to solidify (gel) the fuel. For best results, use every time you fuel, adding contents to fuel tank(s) prior to fueling. The fueling process will then ensure that complete and proper mixing takes place. Treatment ratio is 1:1000 which equals 32 oz. per 250 gallons, or 1 gallon per 1000 gallons of fuel. First time users can use a ratio of 1:500 which is 32 oz. per 125 gallons, or 1 gallon per 500 gallons of fuel to further lower CFPP and PP and to speed the cleaning process. When operating in extreme conditions, i.e. extreme cold, marine, high humidity, poor quality fuel, it is acceptable to use 32 oz. per 125 gallons (1:500) on a regular basis. For even more benefits during cold weather operation, we suggest the use of CFT – Complete Fuel Treatment. We are using Polar Flow product almost every day and very happy so far. Recently I was given 2/32 oz bottles of Enertech products from Outboard Rebore to try on my bus; one of Inject-r-clean and one of Polarflow. My bus was hard starting and would stall when I attempted to increase the throttle. This problem has been rectified. The other issue was the bus would almost stall when I came to a stop. It quite often had to put it in neutral. This problem is also rectified.